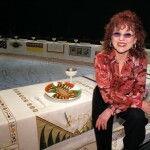 One of Judy Chicago’s primary goals was to overcome the erasure of women’s achievements that is symbolically expressed in The Dinner Party, her monumental history of women in Western Civilization, now permanently housed at the Elizabeth A. Sackler Center for Feminist Art at the Brooklyn Museum. 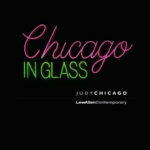 This page is intended to help students, scholars and museums locate aspects of Chicago’s oeuvre and her archives, which are split between the Schlesinger Library for the History of Women in America at Radcliffe/Harvard and at Penn State University which houses the Judy Chicago Art Education Collection. Together, these institutions will make possible a comprehensive view of Chicago’s artmaking, writings and educational theories. 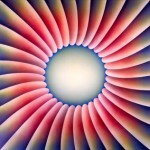 Through the Flower is a non-profit feminist art organization founded by Judy Chicago in 1978. Through the Flower’s mission is to educate a broad public about the importance of art and its power in countering the erasure of women’s achievements. It provides resource and research materials through its institutional partners, and to students and scholars worldwide. Among the Schlesinger Library’s extensive collection documenting second-wave feminism are the correspondence, journals, questionnaires, photographs, and textiles documenting Chicago’s personal and professional lives. The archive includes material pertaining to Chicago’s artworks, including the Birth Project, the Holocaust Project, and The Dinner Party. Most of the collection is open to researchers, and the searchable finding aid to the collection is available on-line. Penn State University has acquired one of the most important private collections of feminist art education, The Judy Chicago Art Education Collection, housed in the University Archives in the Special Collections Library. The collection, open to the public, includes videos, photographs and notes on Chicago’s teaching projects and is complemented by The Dinner Party Online Curriculum Project, gifted to Penn State by Through the Flower. Penn State has developed an extensive website devoted to this collection, including the Curriculum, and Chicago’s Art Pedagogy. Launched by Through the Flower in 2009, The Dinner Party Curriculum was created by a team of curriculum writers spearheaded by Dr. Marilyn Stewart (with Dr. Peg Spiers and Dr. Carrie Nordland) in collaboration with Judy Chicago. Through a series of free, downloadable pdf files, teachers can learn how to integrate The Dinner Party into their classrooms. In 2011, Through the Flower gifted and endowed the curriculum to Penn State where it will be integrated into their art education program and made available on-line in perpetuity. The National Museum of Women in the Arts is the only museum in the world dedicated exclusively to recognizing the contributions of women. 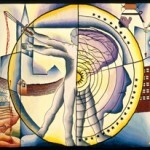 The museum is currently working to assemble a representative collection of Chicago’s art. 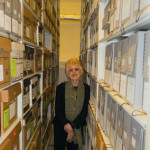 After her death, the museum will be the repository of her visual art archive, including slide files, card files and computerized data base, which will provide documentation of her long career. The Dinner Party is the centerpiece of the Elizabeth A. Sackler Center for Feminist Art, which is an exhibition and education center dedicated to feminist art—its past, present, and future. The Center’s mission is to raise awareness of feminism’s cultural contributions to educate new generations about the meaning of feminist art. 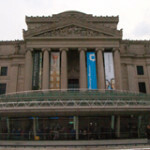 The Sackler Center has detailed online information about The Dinner Party. Through the generous gift of tapestry weaver Audrey Cowan and her husband Bob, the Museum of Arts and Design acquired the cycle of tapestries designed by Chicago and woven by Audrey Cowan, her longtime collaborator. The gift includes two major tapestries, The Creation and The Fall, from the Birth Project and the Holocaust Project, five other tapestries, and many of Chicago’s most important cartoons and studies. 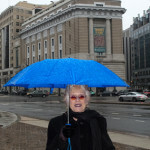 The Museum of Arts and Design also houses the archive documenting Audrey’s collaboration with Judy Chicago, providing a behind-the-scenes view of their creative process. 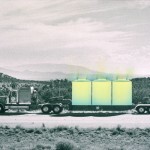 A collection of Judy Chicago’s art that focuses on work created in New Mexico is being assembled at the New Mexico Museum of Art. 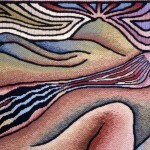 The core collection of the Birth Project, Judy Chicago’s important series of needleworked and painted images celebrating birth and creation, is owned by the Albuquerque Museum. The work can be seen by appointment. This digital library with a database of images in the arts and sciences for research and teaching purposes, has approximately 400 images of Judy Chicago’s work.